All classes offered through the Schools Programme are free to all Bermuda students. A spokesperson said, “Now, more than ever, our schoolteachers are being asked to do more with less. The demands have become greater and the stakes are higher as we seek to develop children who will be able to compete in an ever-changing world. 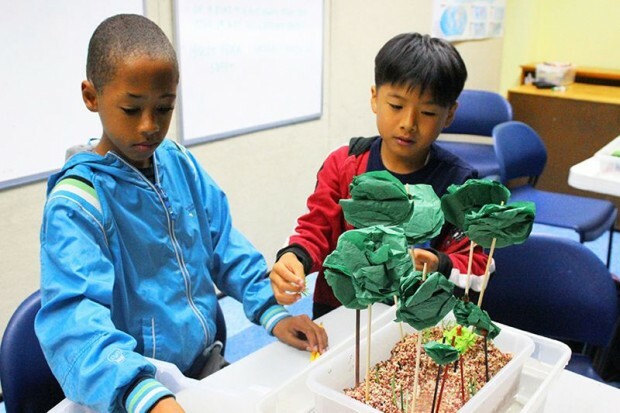 “Teachers now have very little time during the school year to even consider teaching a topic that is outside of their curriculum,” explained BZS Education Officer, Dr. Jamie Bacon. “Just trying to get through the curriculum is a major challenge. Therefore, if we at BZS want to be of real assistance, we need to be teaching topics that satisfy curriculum requirements, but also teach them in a way that engages and inspires students so that the lessons are memorable. 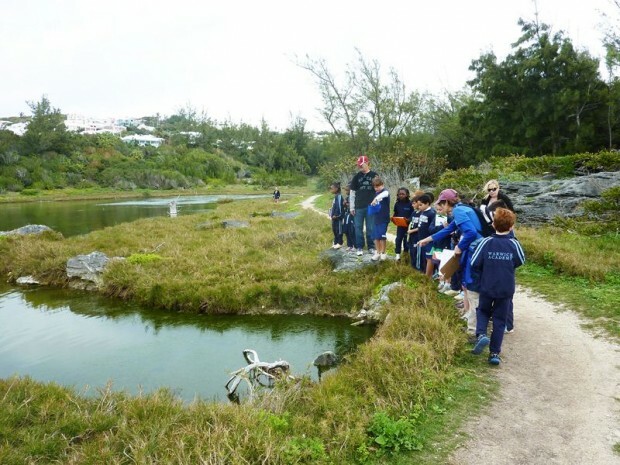 “It is important for students to have exposure to habitats and living things not found in Bermuda to enrich their experience, but without a doubt, it is critical that students appreciate the microhabitats and ecosystems that are right in their backyard,” shared Kali Douglas, Content Specialist Teacher for Science, from The Ministry. “During Dr. Bacon’s workshop, I observed opportunities for an interdisciplinary approach to science,” Ms Douglas said. “There was inquiry imbedded during lessons at the Bermuda Aquarium, Museum and Zoo’s [BAMZ] site and in the field, such as observation, predicting and data collection, as well as building models. Dr. Bacon also spoke of connecting math and measurement at the senior level. “I think to encourage more teachers to use BZS’s, workshops for teachers, as we did with Dr. Bacon, is just one suggestion. The teachers were excited to incorporate the visits into their module and they were appreciative for the new information. “The BZS experience is truly a learning one for both the student and the teacher – I find I always learn something new when we connect in forums such as these. “The classes expose students to real-life scientific research taking place right here in Bermuda. All classes are taught by the BZS team of professional educators, who are at the heart of our education programme. We are also fortunate to have developed relationships with Bermuda’s top scientific minds, whom we can call on for their insight and expertise. According to Ms. Douglas, “Another benefit for our students and teachers is to hear about the work of experts in their fields, for example, there are conversations during the field trips and BAMZ museum visits that discuss the important work of BZS’s team of professionals, as well as scientists like Jeremy Madeiros and Dr. David Wingate as it pertains to the preservation of our endemic species. Teachers and Parent-Teacher Associations wishing to learn more about the schools programme can contact the BZS Education Officer Dr. Jamie Bacon at edofficer.bzs@gov.bm, or by calling 293-2727 [extension 2142]. Details of all the courses offered can be viewed online. 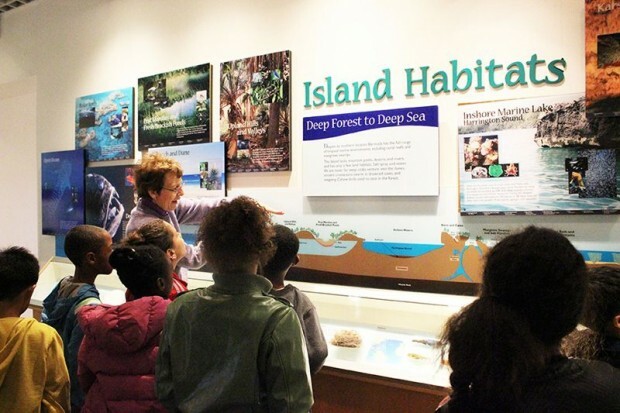 “Another benefit for our students and teachers is to hear about the work of experts in their fields, for example, there are conversations during the field trips and BAMZ museum visits that discuss the important work of BZS’s team of professionals, as well as scientists like Jeremy Madeiros and Dr. David Wingate as it pertains to the preservation of our endemic species.